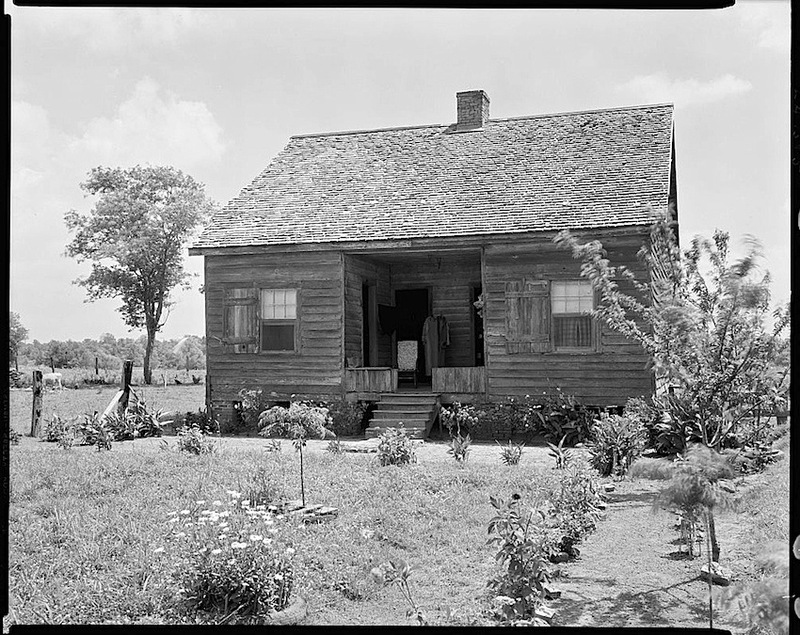 “Thebideau cabin,” near Franklin, St. Mary Parish, Louisiana, 1938, by Frances Benjamin Johnston for her Carnegie Survey of the Architecture of the South, via Library of Congress Prints and Photographs Division. 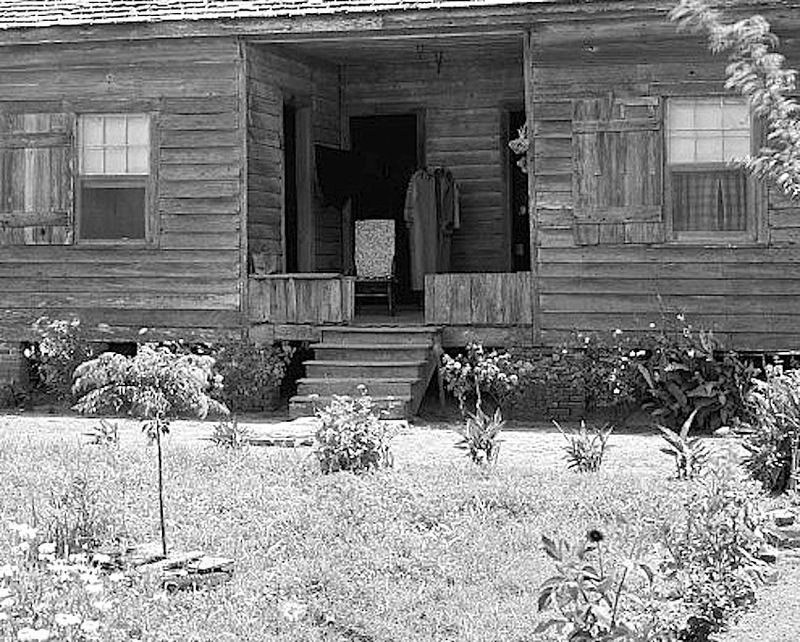 The front yard is very neat. Two old tires protect the daisies and the little tree.